Most of us don’t eat in the bathroom and your cat would probably agree with the fact that it’s not an ideal location. 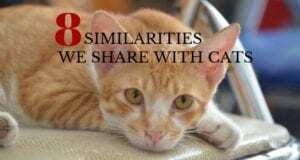 In the cat world, the act of going away from the living quarters and covering the waste after elimination are very important aspects of survival. To eat near the elimination area can be very confusing. In many cases it can lead to a litter box avoidance problem but in some cases it can result in finicky eating as well, or at the very least, increased anxiety during meals. Any change in your cat’s appetite could be caused by an underlying medical issue. It could range from a disease to even a tooth problem that’s causing pain whenever your cat attempts to chew. 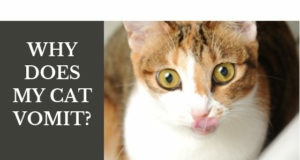 Respiratory problems could cause your cat to reject her food because she is unable to smell it. Cats heavily rely on their sense of smell before eating their food. Any change in your cat’s appetite should be viewed as a potential red flag that something is medically wrong. 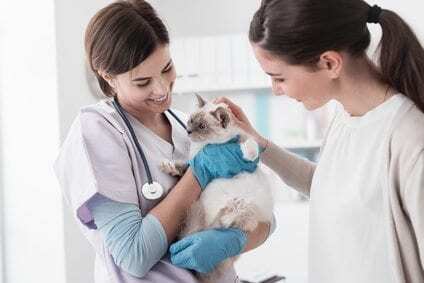 Have your cat examined by the veterinarian. Food fed directly from the refrigerator is unappealing. Cats aren’t scavengers and they use their nose to determine if the temperature of their prey indicates whether it’s safe to eat. If the food is cold, it could indicate to the cat that it’s not very fresh. Cold food also releases less aroma so there’s a decreased scent appeal. Wet food should be served at body temperature or slightly warmer. Dry food should be room temperature. Wet food shouldn’t be left out in the bowl to dry and harden. You’d be surprised how many times I come across cat parents who create inadequate homemade diets or feed the cat a diet that is missing vital nutrients. 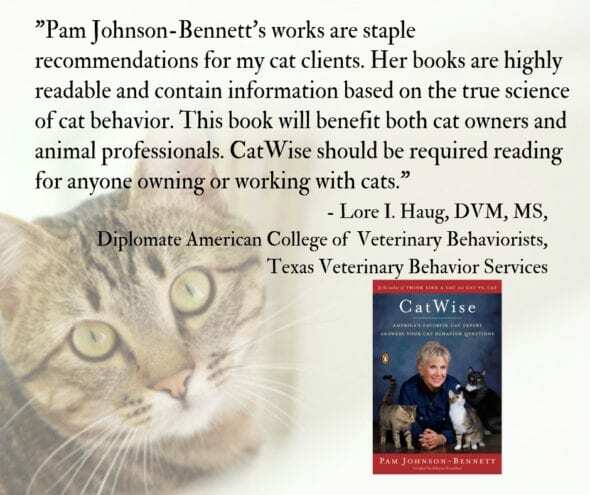 If you’re going to feed raw food or cook a homemade diet, talk to your veterinarian to be sure you are fully educated on how to create a nutrition program that meets all of your cat’s requirements for her life stage. If feeding commercial food, your veterinarian can guide you on the dizzying choices in brands on the market today. Just because a food is highly palatable doesn’t mean it’s appropriate for your cat.